Here's the new David Gage Realist SoundClip pickup. It mounts directly on the foot of the bass bridge without having to lift the bridge or do anything special. 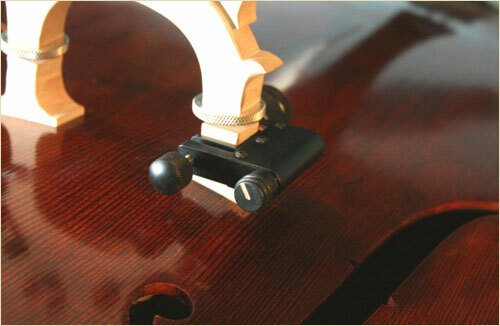 For this reason, it's also a great pickup for the classical/symphony bassist that needs a pickup on their bass once in a while, without the hassle of installing or un-installing it. Easy on, easy off! Click here to see larger close up image and diagram of the SoundClip bass pickup. To order the David Gage SoundClip for $399 which includes free shipping to any USA address. In addition to the Gage pickups, we are in the process of offering super new discounted deals with the purchase of other products. That is, if you're buying a bass or a cover or whatever it is, we will be happy to discount the total package. 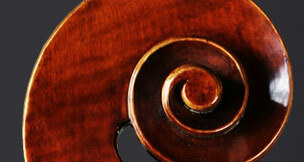 For more information, take a look at our String Emporium packaged upright bass deals or simply call us.